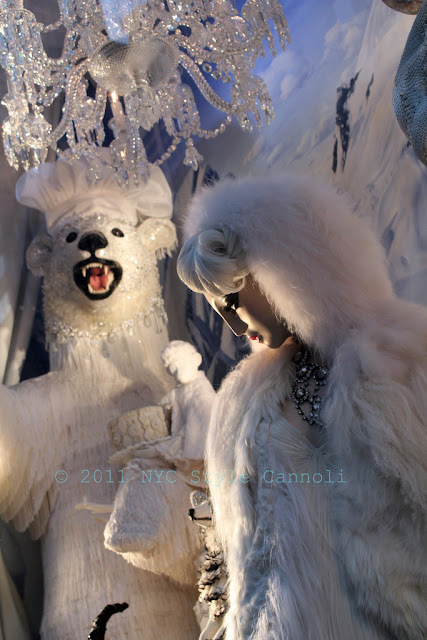 Photo Gallery Tuesday " Bergdorf Goodman Holiday Window 2011"
One of my favorite shots from the Bergdorf Goodman holiday windows in 2011. Their windows are always just "over-the-top" creations and you really need to view them very slowly. You may miss some of the little details throughout the window if you go by too quickly. The windows for 2012 are said to be inspired by the 1920's jazz age. I can only imagine how amazing that is going to be. Make your Tuesday an amazing day ! !